Do you suffer from redness and bumps concentrated on your forehead, cheeks, nose and chin? If so, you may be eligible to participate in a clinical study of an investigational medicine for adults with papulopustular rosacea, a type of rosacea marked by redness and acne-like bumps. If you are 18 years of age or older and have a minimum of 15 papules or pustules on your face (acne-like red bumps) you may qualify for this study. Participants who qualify will receive study-related evaluations and medication at no cost. 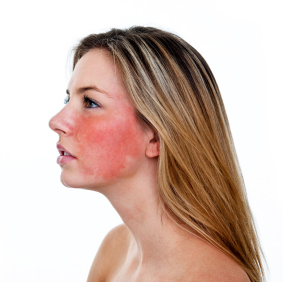 For more information and to see if you qualify, call Clinical Partners at 401-454-3800 or visit https://clinicalpartnersllc.com/current-trials/facial-rosacea/ for more information today.